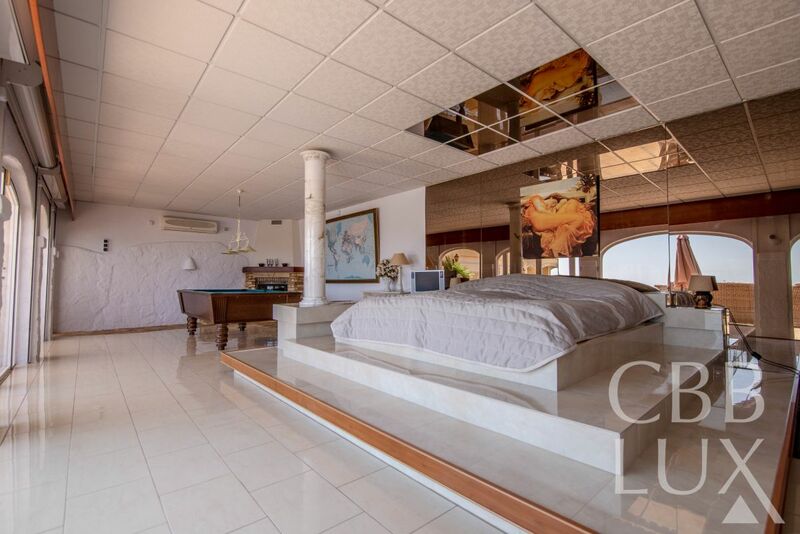 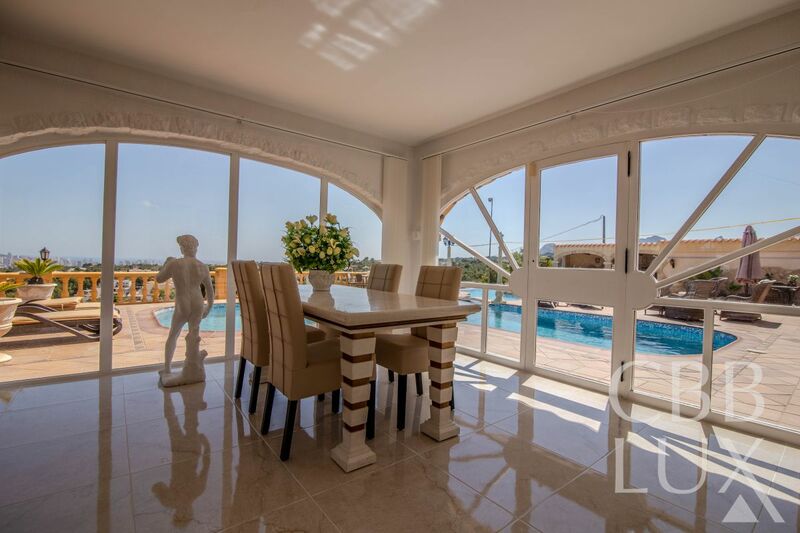 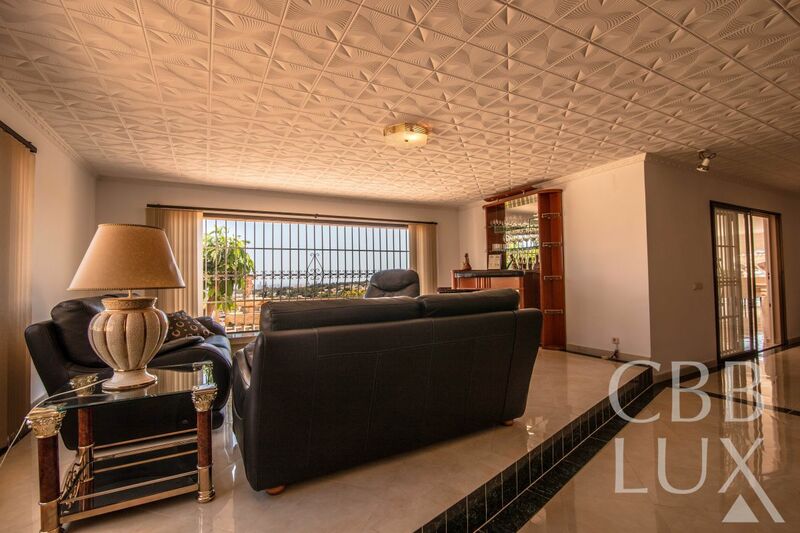 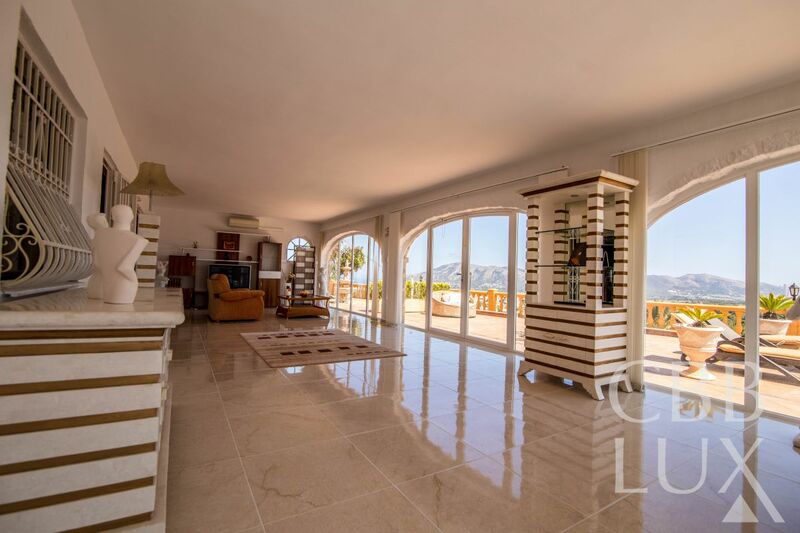 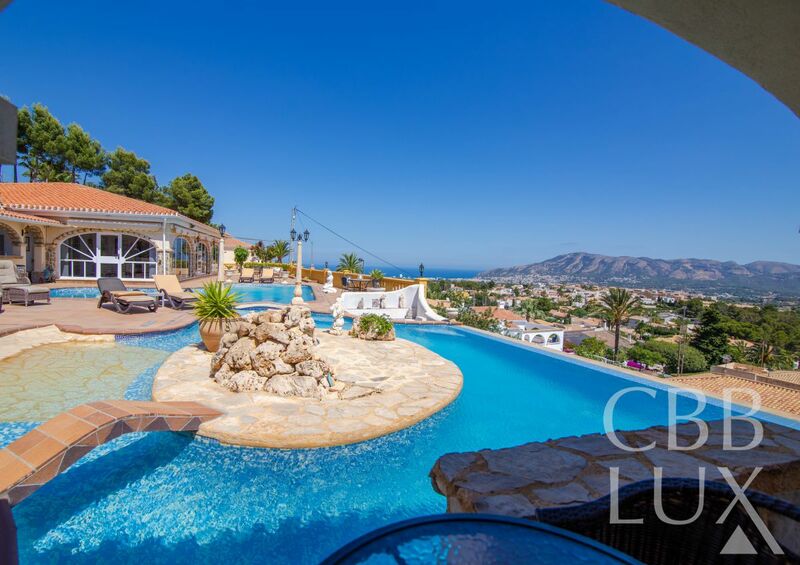 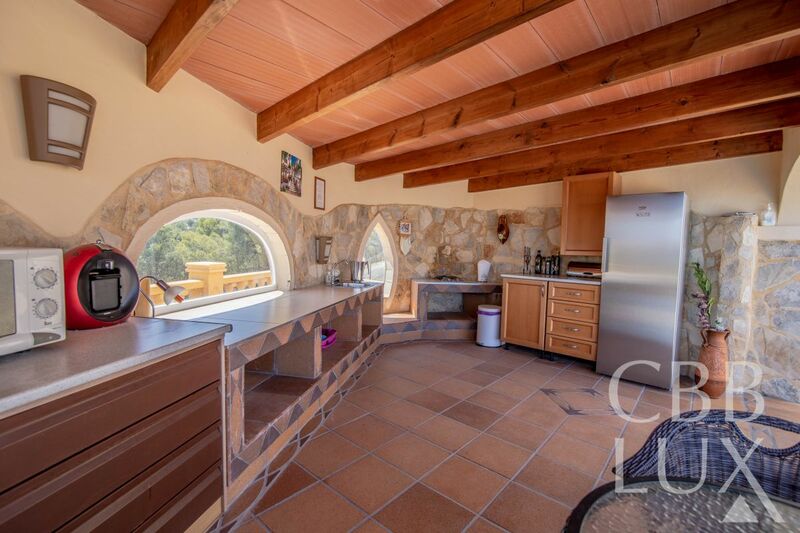 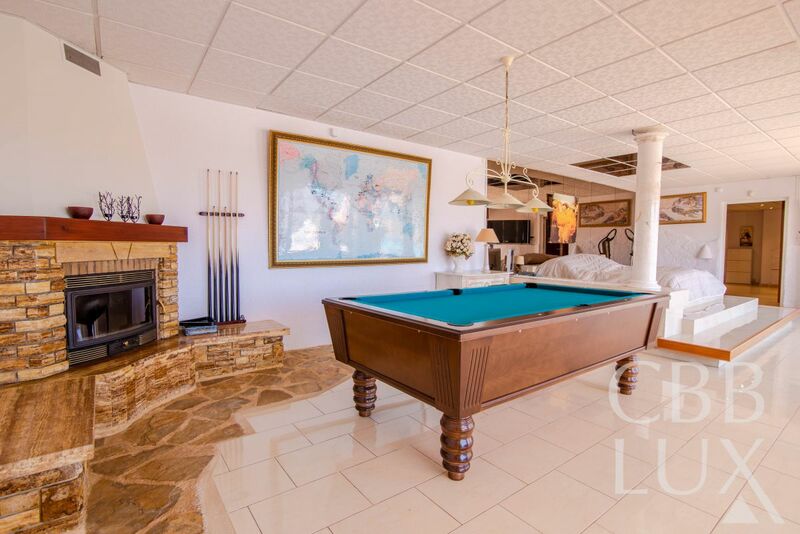 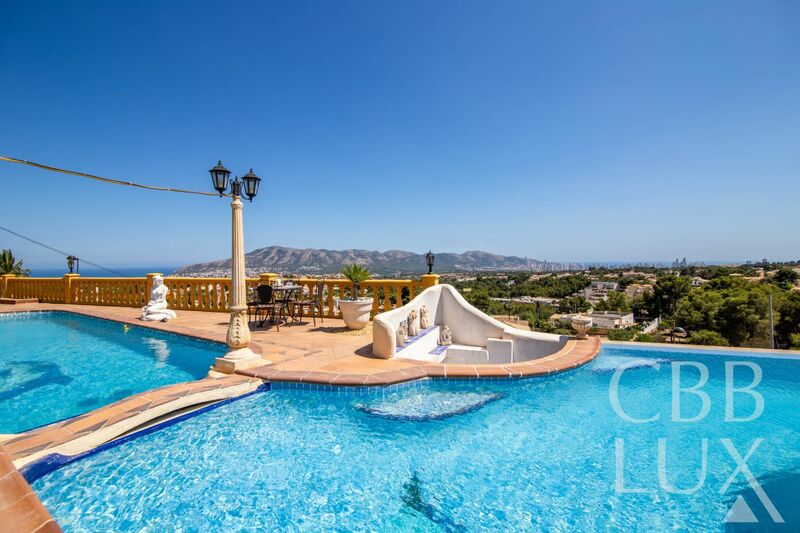 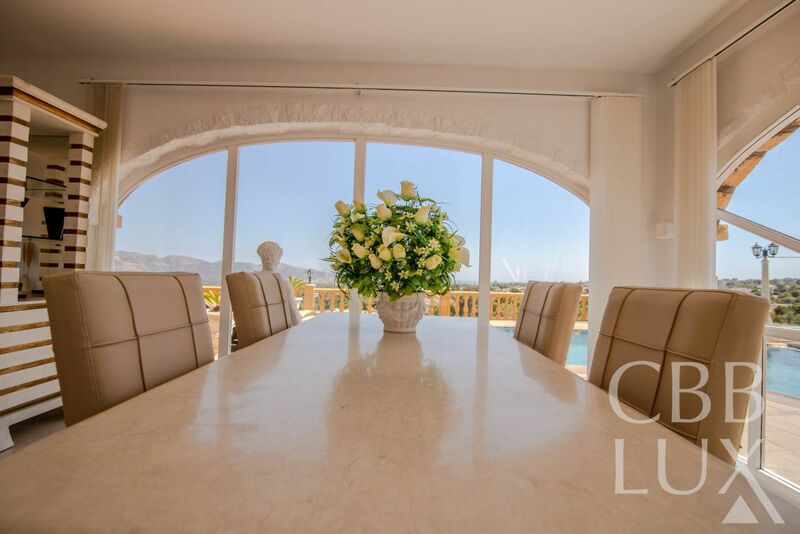 This amazing ground floor villa was constructed in 1988 on a 4000 m2 plot. 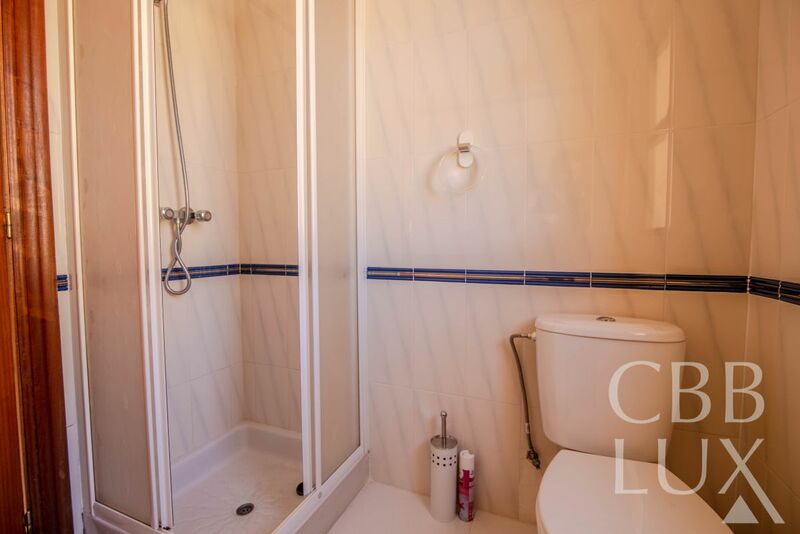 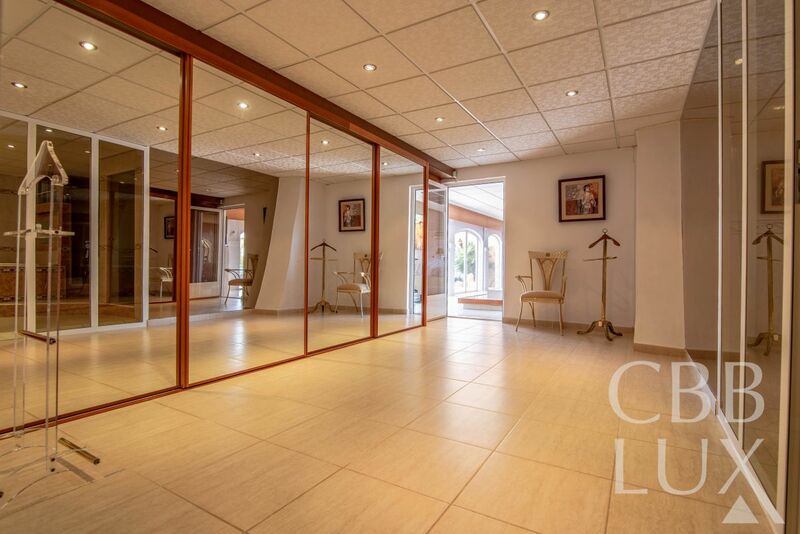 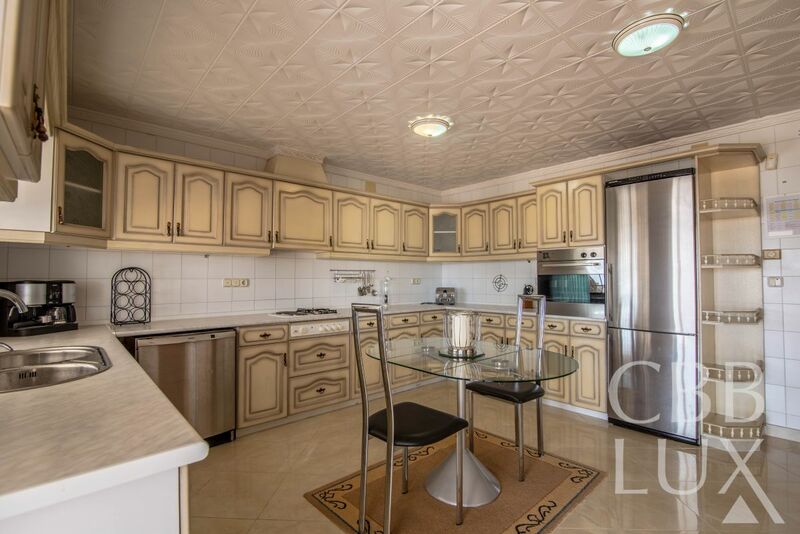 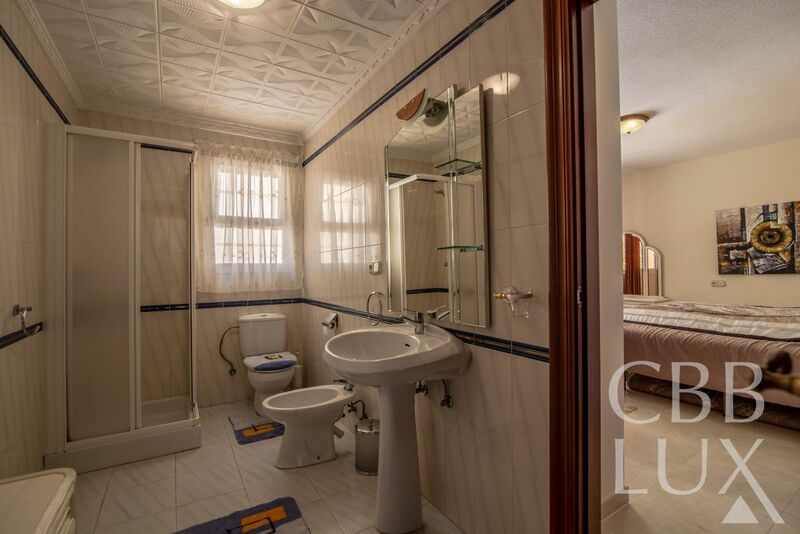 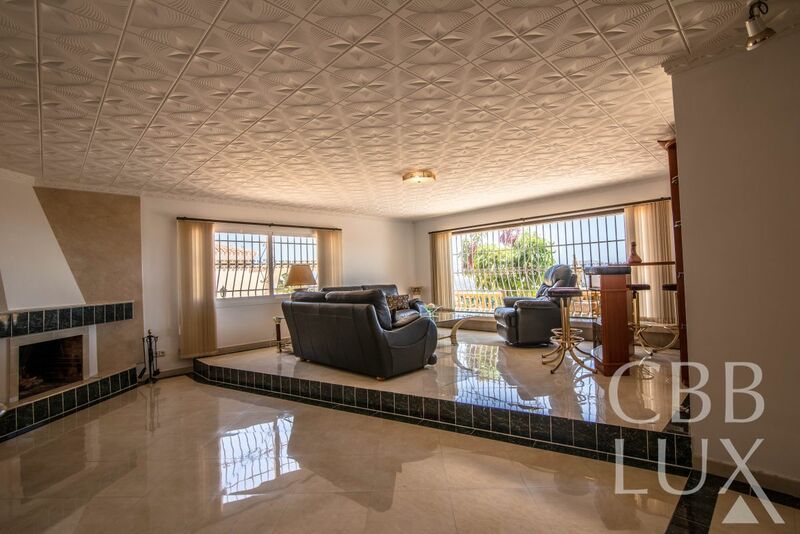 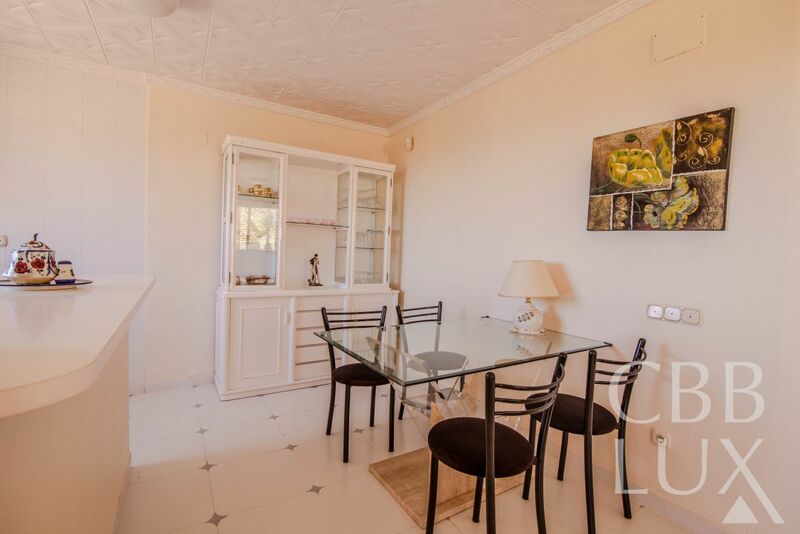 It is located in one of the most popular areas of Alfaz del Pi, Colonia Escandinavia. 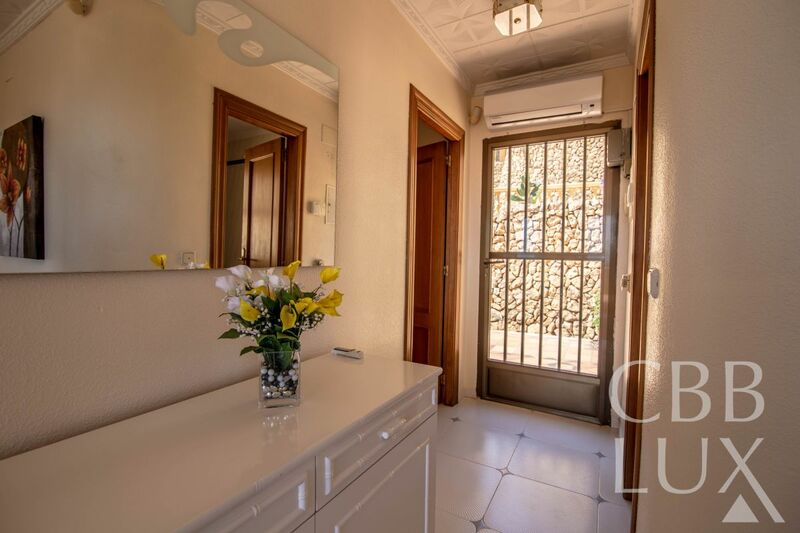 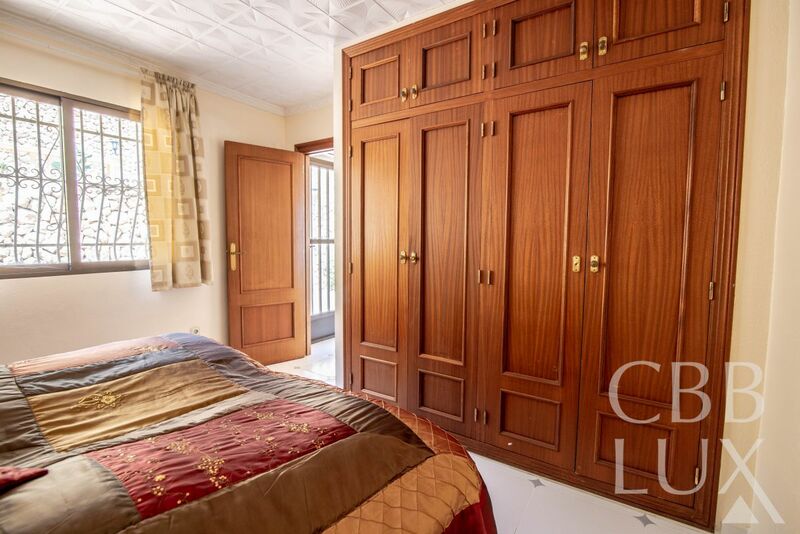 The main house is 392 m2 and has 4 bedrooms, 3 bathrooms (one of them with sauna and Jacuzzi), walk-in-closet, spacious laundry room, fully equipped kitchen, ample living and dining area. 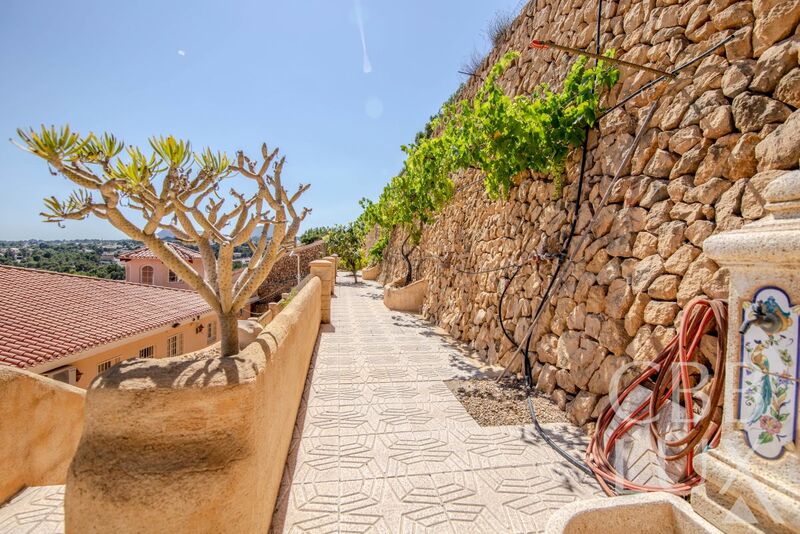 From the glazed in terrace you can look over the beautiful exterior areas and the Mediterranean. 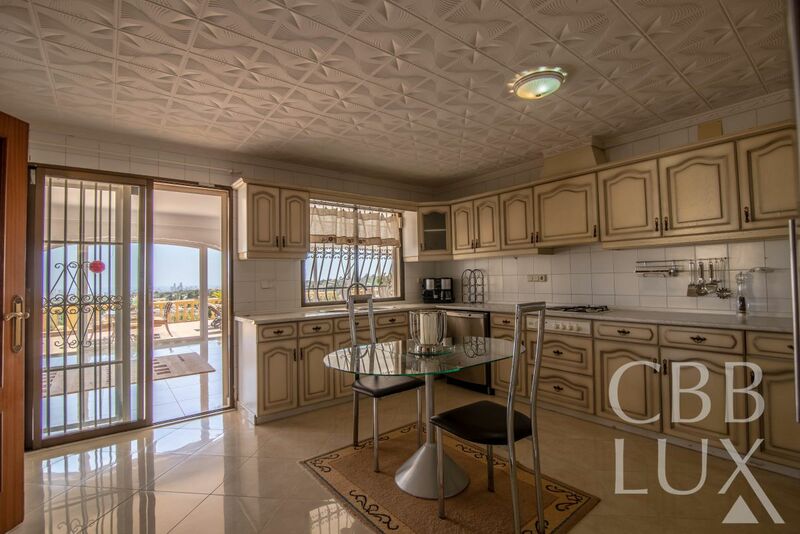 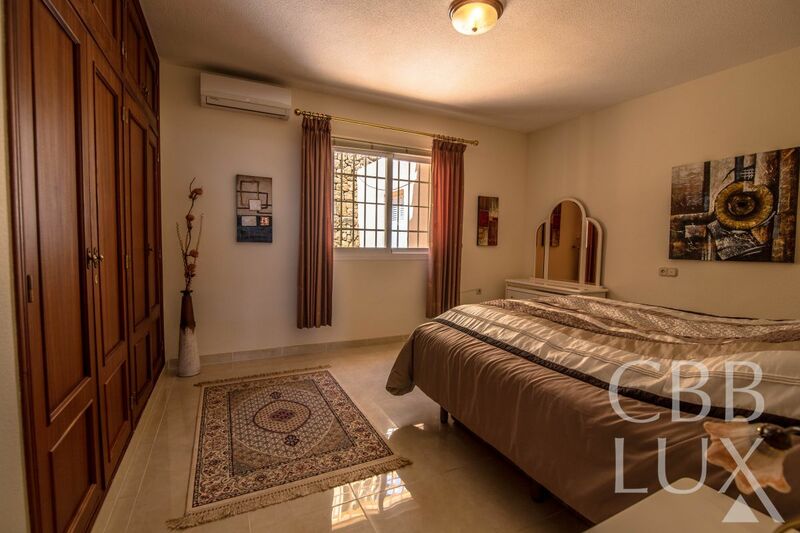 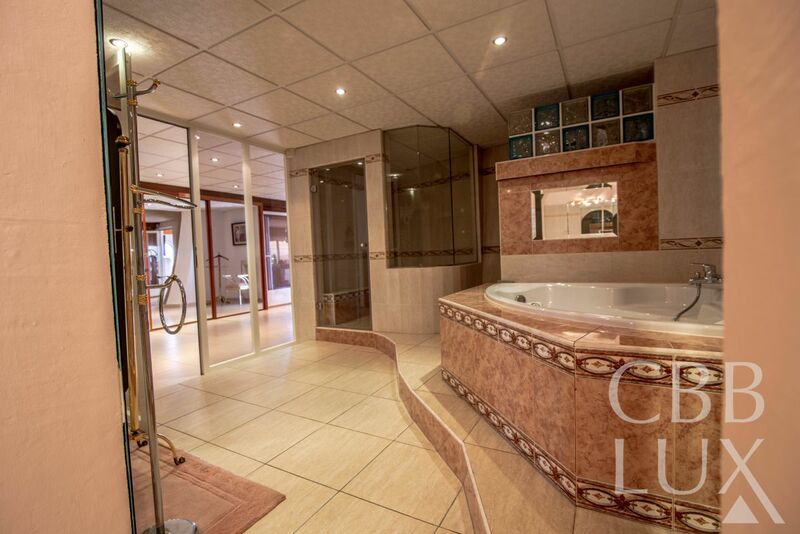 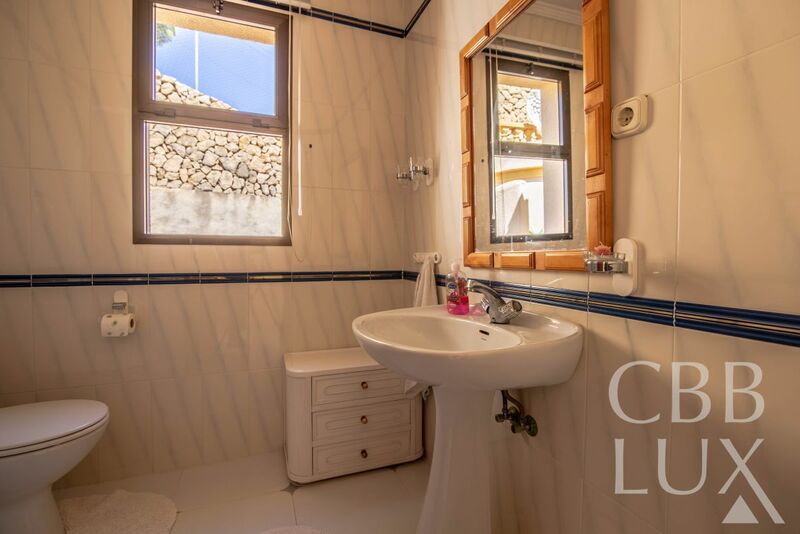 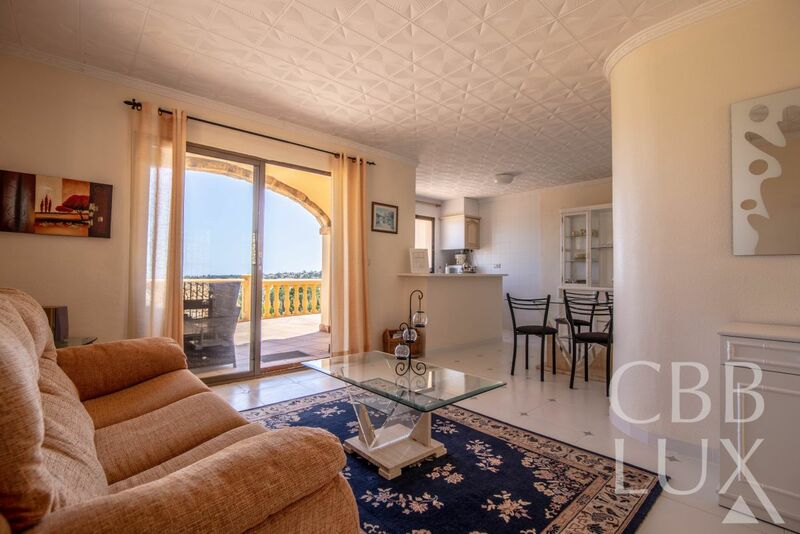 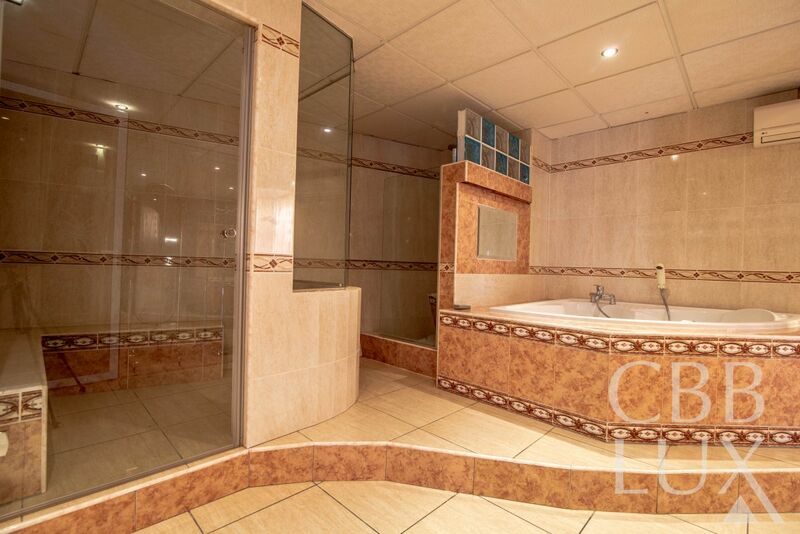 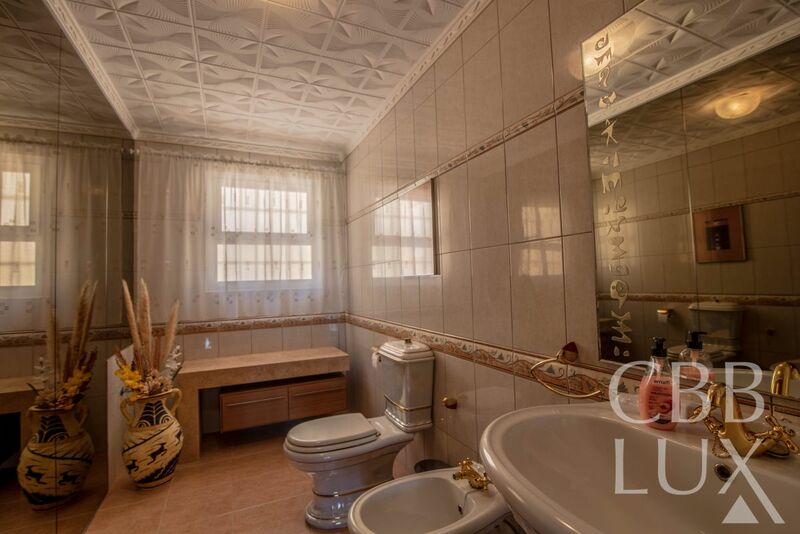 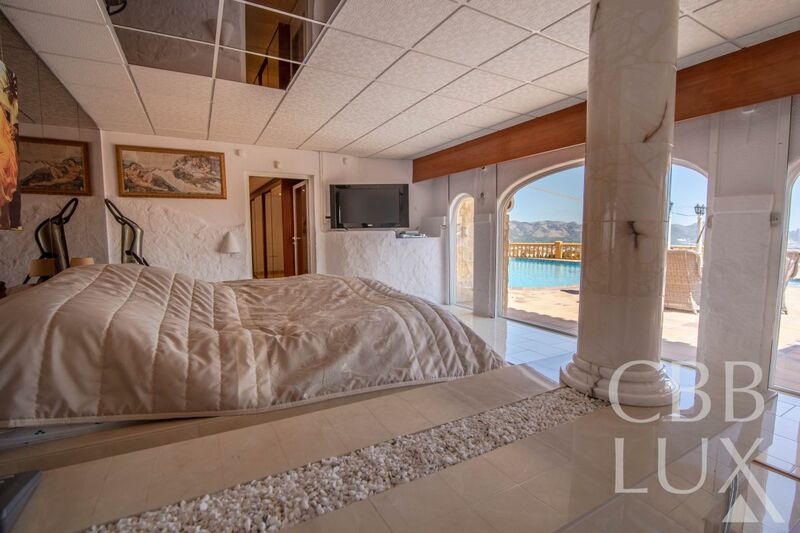 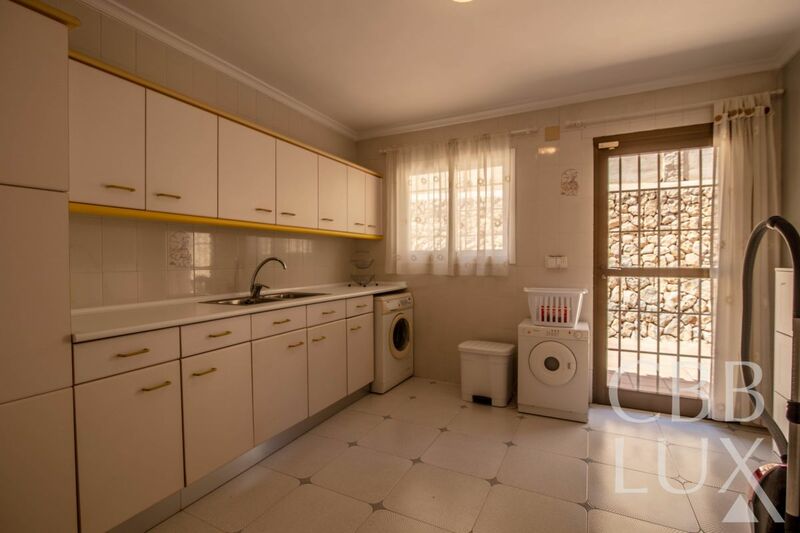 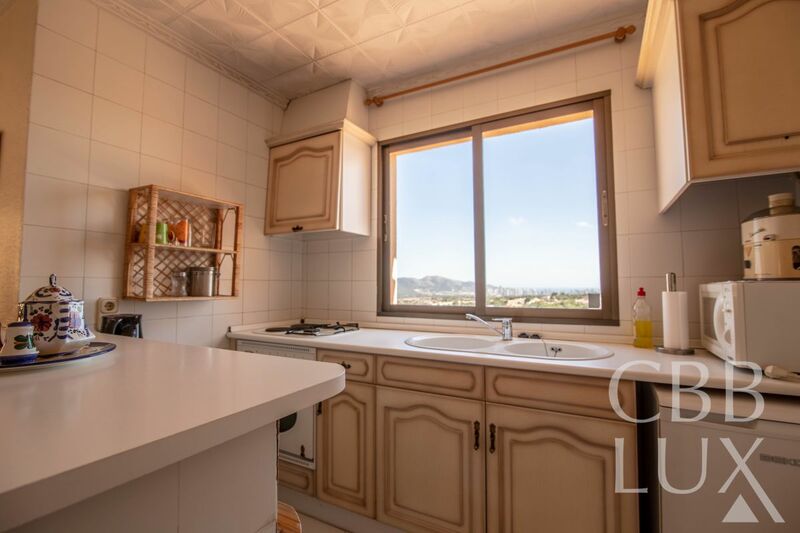 The property has floor heating in the living room and bathroom and air-condition in all the rooms. 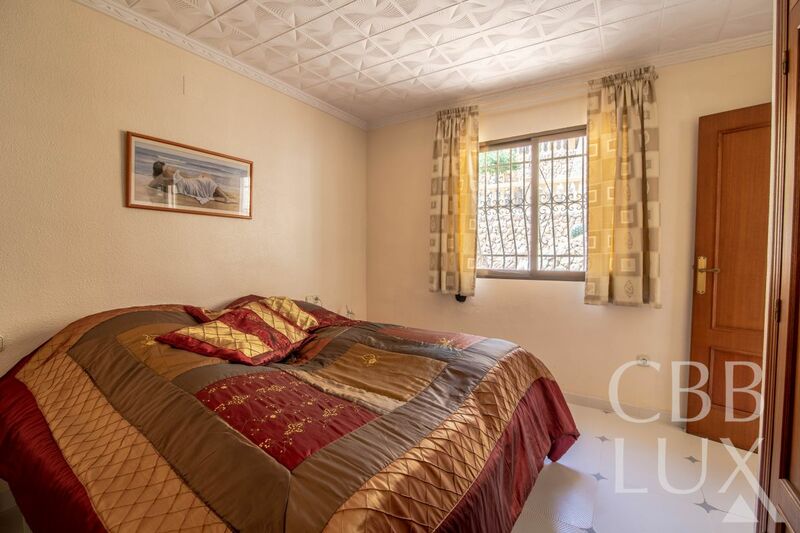 There is also a small independent guest house of 56 m2 with living room, open kitchen, bedroom and bathroom. 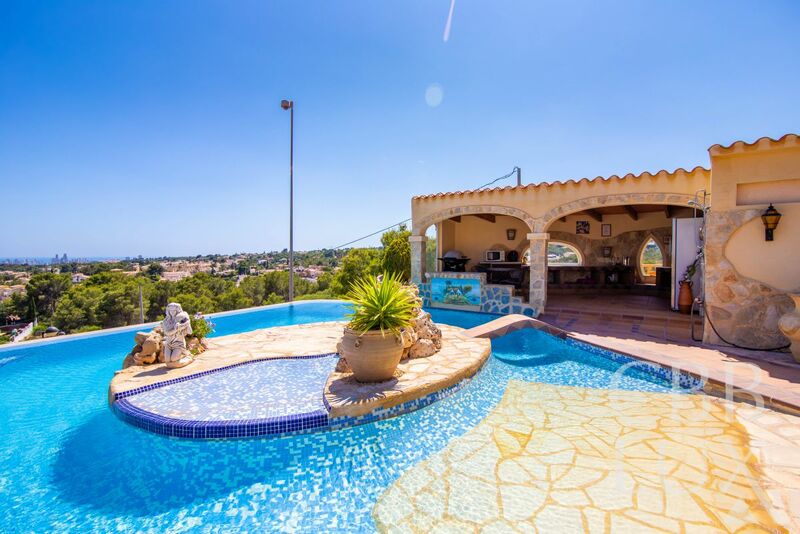 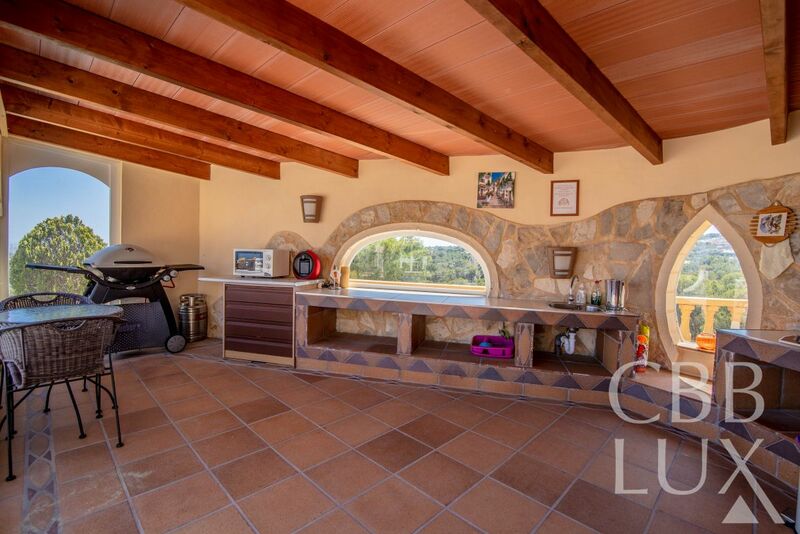 At the front of the house there is a big tiled terrace of 482 m2 with 2 pools, bar and summer kitchen. 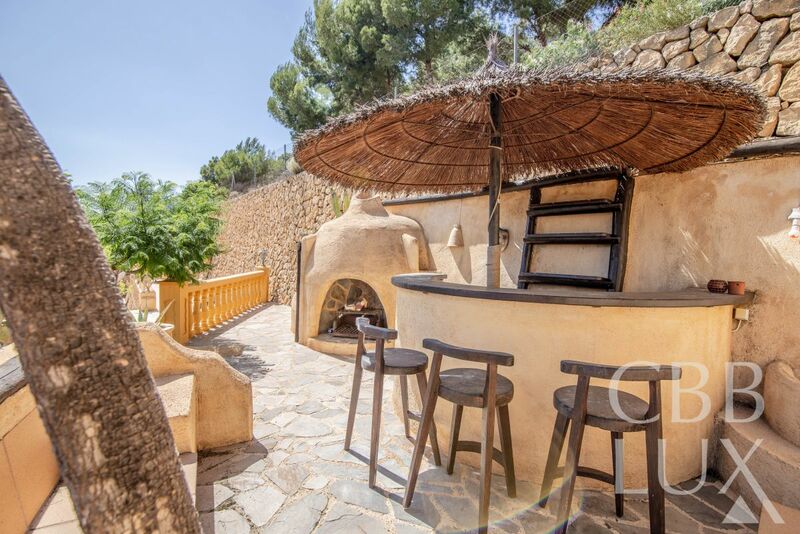 There are several cozy places where you can enjoy the breathtaking views of the sea, the PeÃ±on de Ifach, Sierra Bernia, Sierra Helada and Puig Campana. 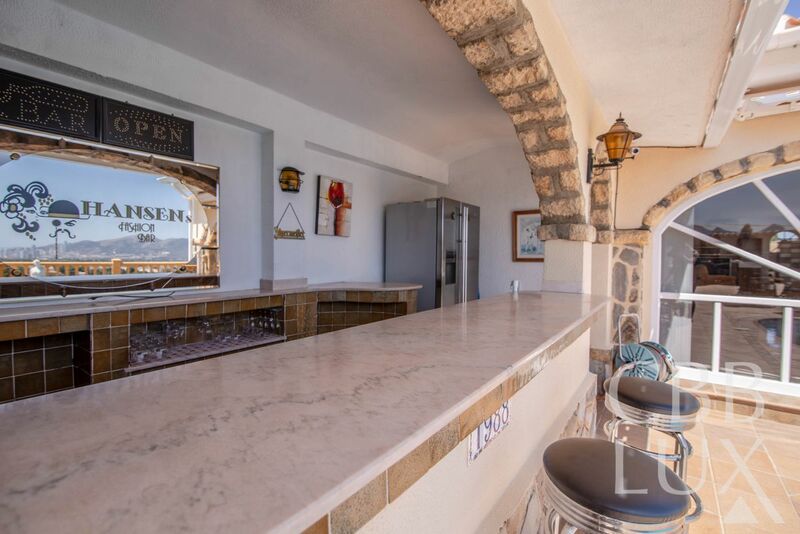 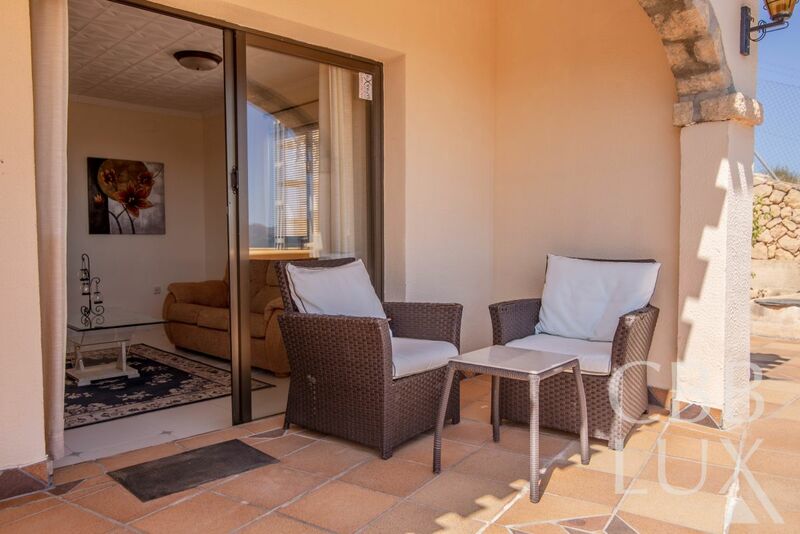 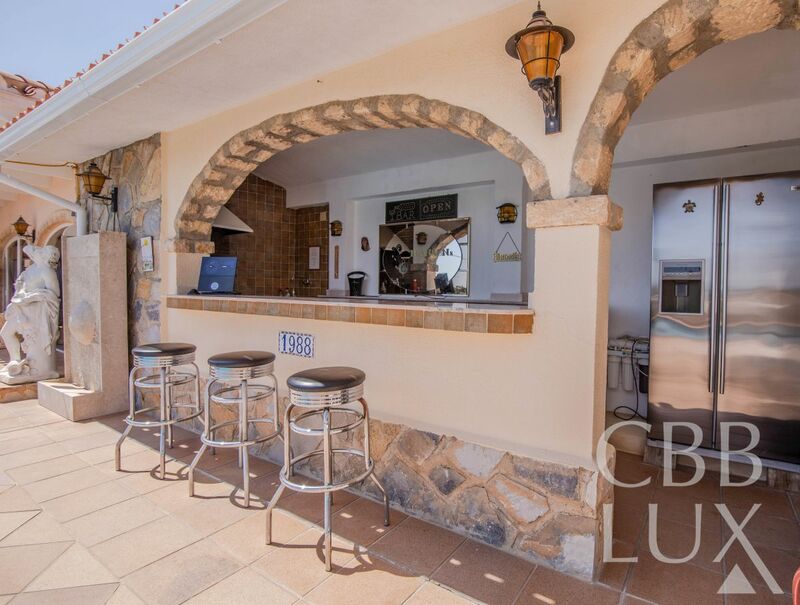 Behind the villa there is a tiled outdoor area with bar, barbeque, several sitting areas and a small tower with big windows, where again you can enjoy one of the most beautiful views of the Mediterranean Sea. 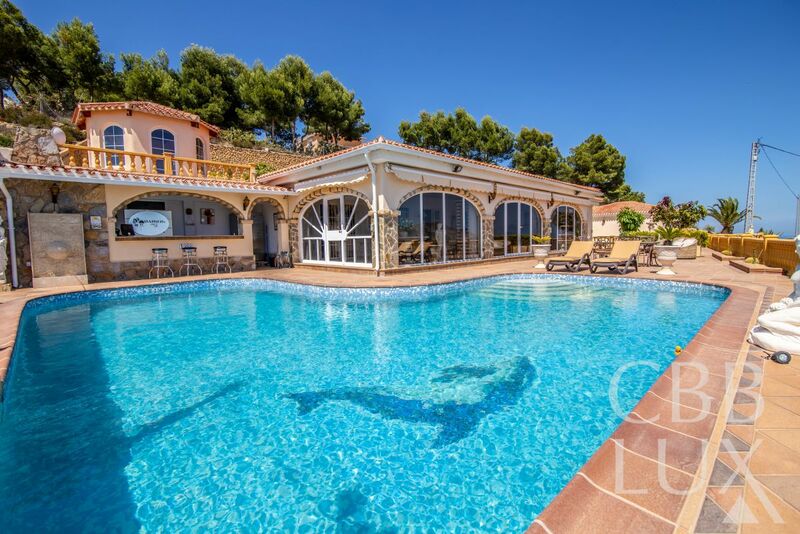 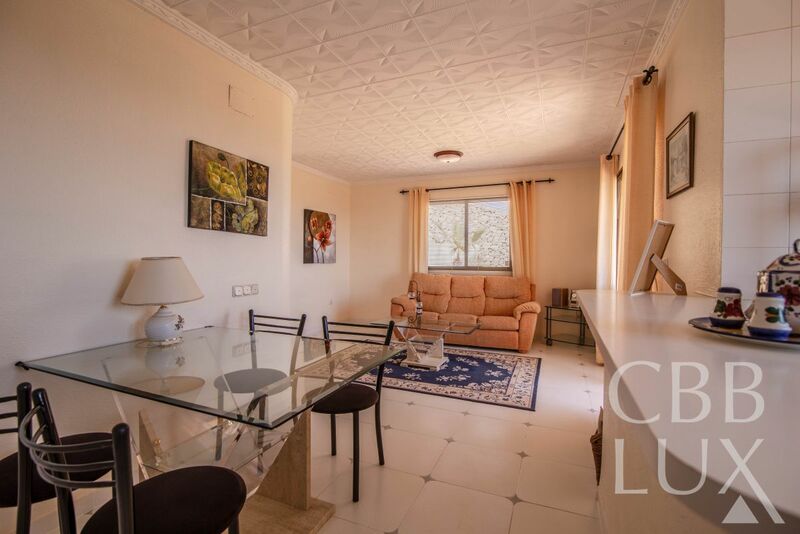 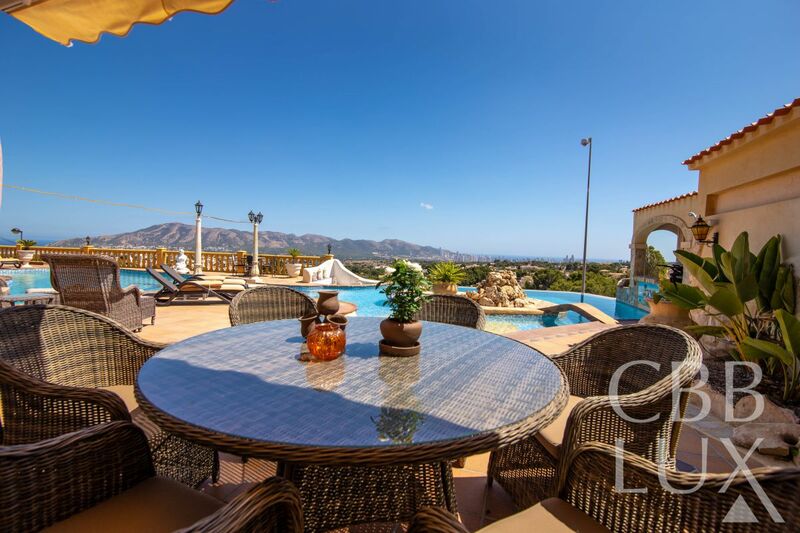 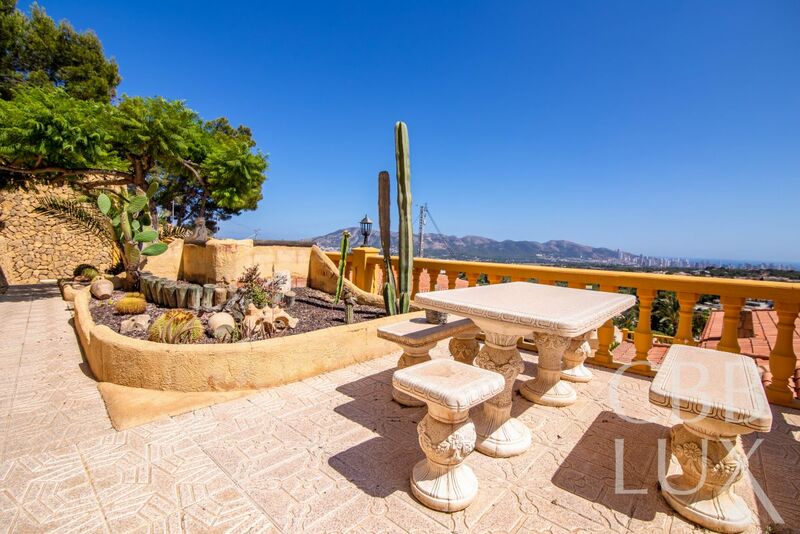 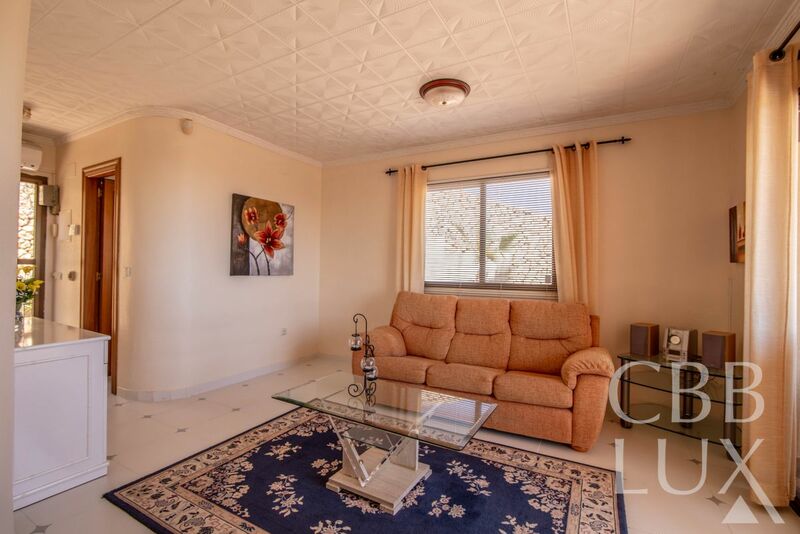 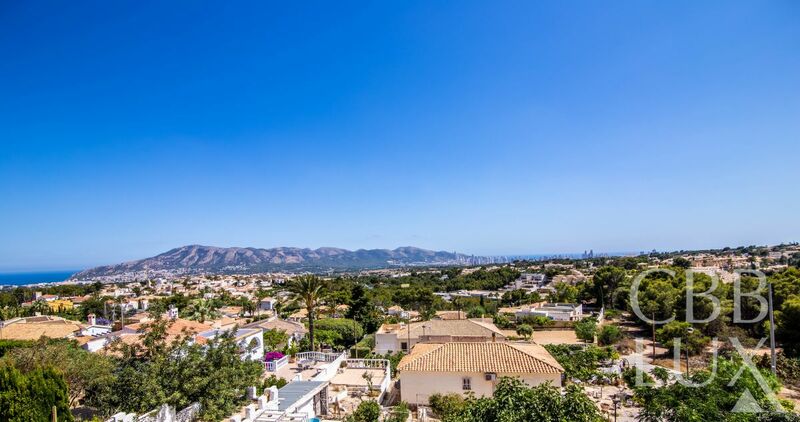 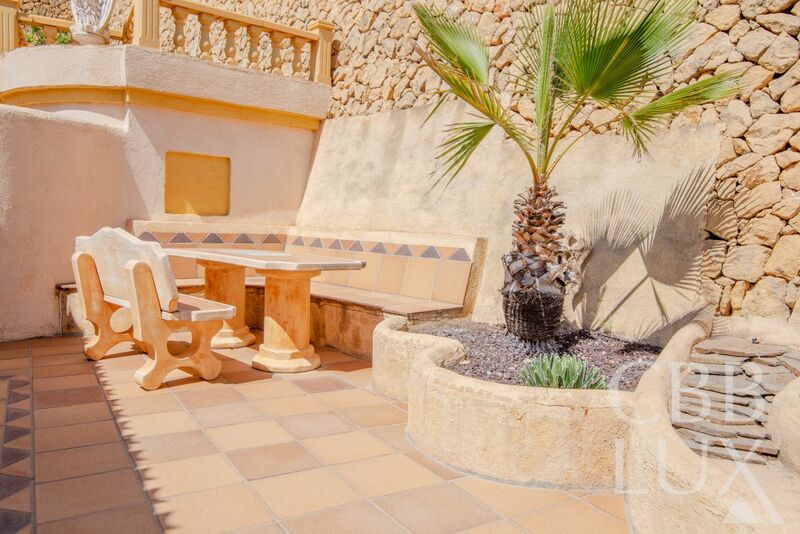 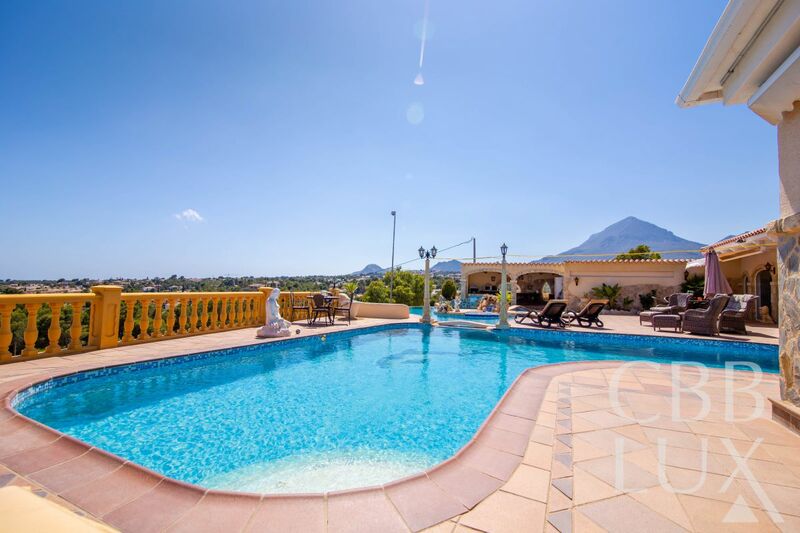 The property is surrounded by a wonderful garden with automatic irrigation system. 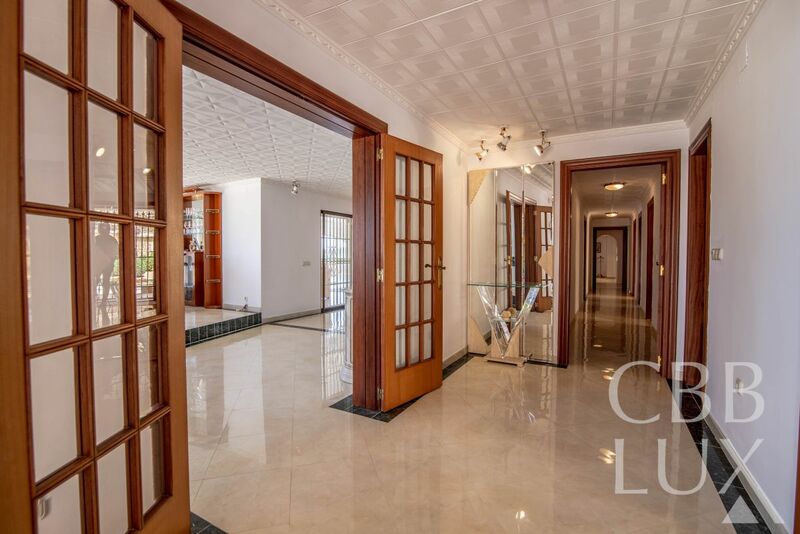 A double garage of 64 m2 by the entrance of the house and a technical room of 25 m2. 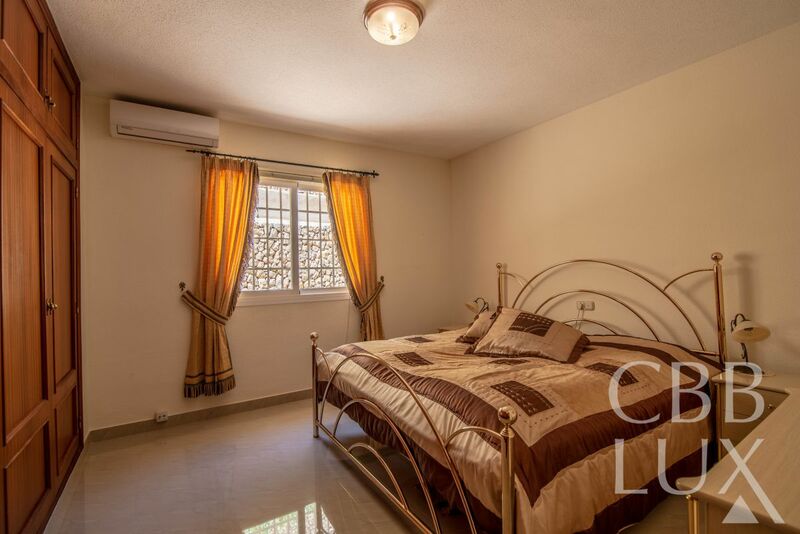 The house offers alarm system and video surveillance.